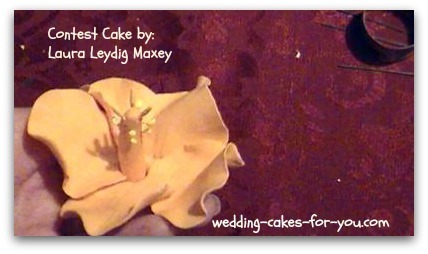 Cake decorating tips and advice. 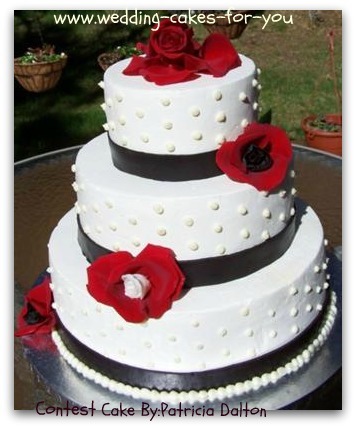 You will find cake decorating techniques and all kinds of helpful ideas on this page from Lorelie and visitors to this website. 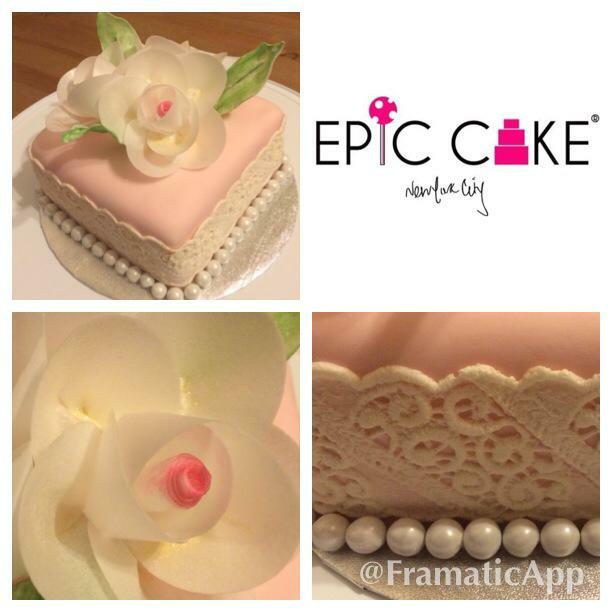 This beauty of a mini cake is by Epic Cake in Long Island New York. 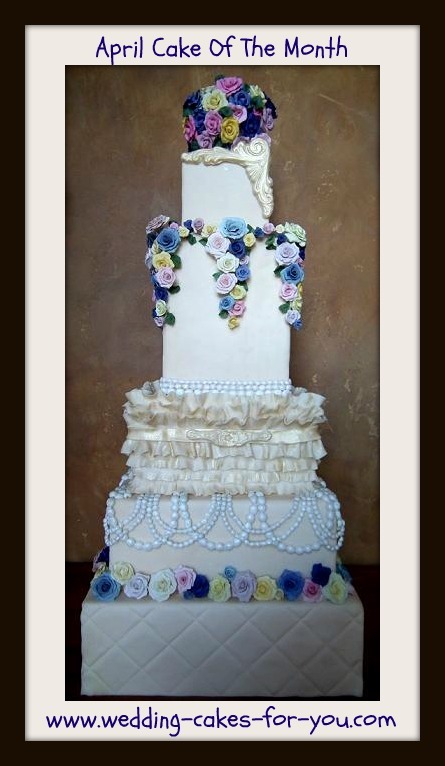 She used a ball tool to get the ruffle effect. 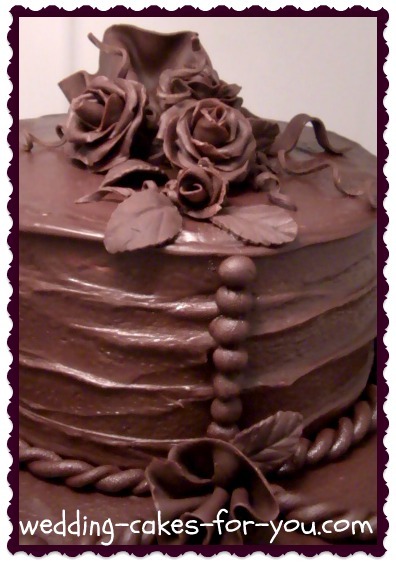 Have you wondered how to make ruffles from fondant and glue them onto a cake? Kortney uses vodka as her cake decorating technique for her award winning vintage cake. Here is what the kit looks like...It contains the ball tool used for ruffling and thinning out petals for a more realistic look. 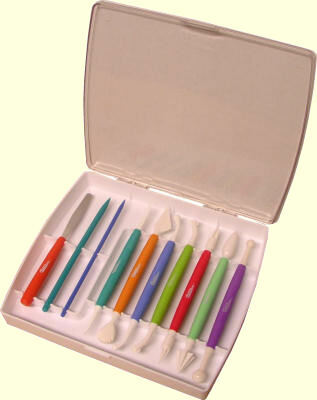 Go to the supplies and tools page to order products for your decorating. Ganache is her secret weapon! See Liz Siers recipe and how she uses it as a crumb coating and a special treat "The best hot chocolate" with leftovers. 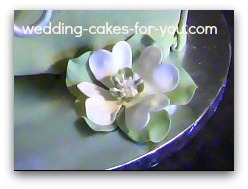 Great tips on making and using fondant ribbon from Patricia, who actually came to this website to get advice. 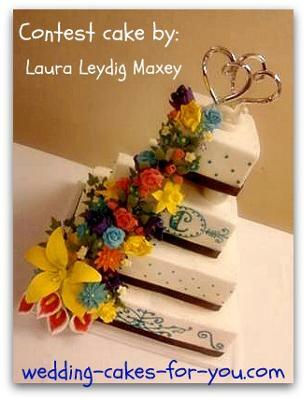 Read her very informative post and see her gorgeous wedding cake with fresh flowers and Swiss buttercream dots. A few really helpful cake decorating tips about using gumpaste, planning ahead for cake disasters and a tip on how to make string-work piping evenly spaced, plus a recipe for her cream cheese filling. Great tips on drying gumpaste decorations in a humid environment from a few of my tropical visitors. 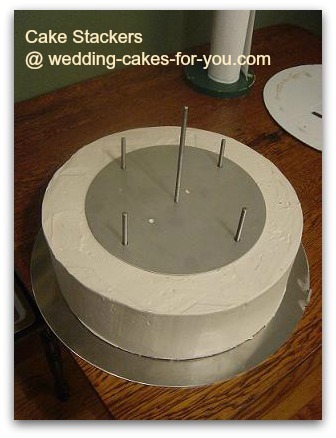 Always use a very strong solid base support for wedding cakes or your cake may lean as Rebekah found out. 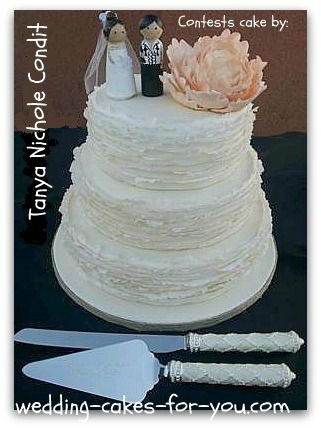 She used a plastic separator plate that could not withstand the weight of the tiers. A wooden board or Masonite is a perfect choice. She writes about it in her Leaning Blue Velvet cake. 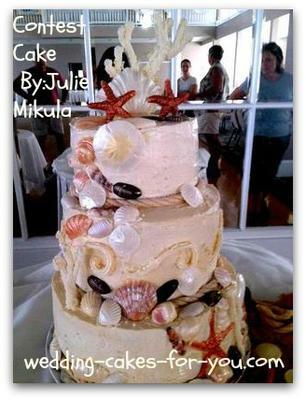 Julie Mikula offers up her raspberry filling that she used to make her seashell cake along with her version of sand and making rope for the borders. "To cut the sweetness of buttercream use a dash of popcorn salt"
Heat up one of those neckwraps full of rice or wheat or whatever in the microwave, and wrap it in a clean dishtowel. Wrap your large angled spreader in the hot neckwrap to really heat it up, then GENTLY use the hot spreader to glide it over the COLD HARD buttercream to get a really flat flawless finish. Rinse and dry it between swipes as it cools off, and reheat it as necessary. Often this trick gives you buttercream so smooth you don't even need to use fondant if it's just for looks anyway! 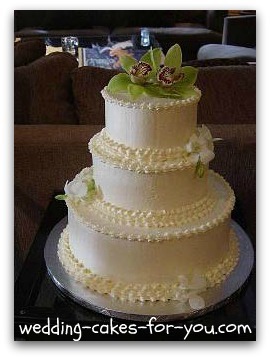 Several visitors here have used and highly recommend Cake Stackers. 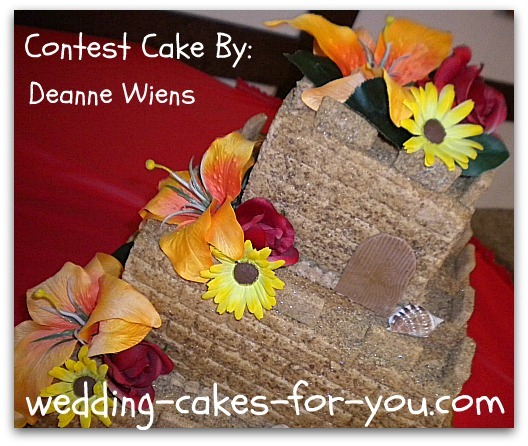 Here are a few of the cakes that were submitted and the decorators experience with using them. 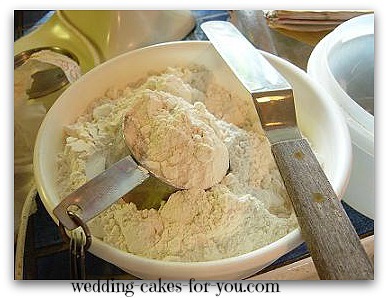 For best baking tips go here.